Welcome to Day 20 of TLC for your gut! Sign up for the email if you want to receive a happy-gut tip every day for the next three weeks. Immediately improve your gut health, and make it easy to love your belly, so that your belly loves you! Clients who drink half a gallon of water a day, and still struggle with constipation, headaches, and dry skin are shocked when their blood tests show that they are dehydrated. How can this happen? Because they do not have enough electrolytes for their bodies to absorb the water they drink. 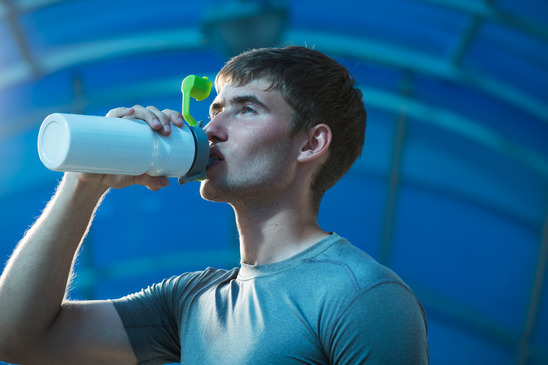 Electrolytes aren’t just for athletes and marathon runners. They are for all of us, who want steady, high energy, crystal-clear thinking and bodies that look and feel supple and strong. The more stressful and busy your life, the more vital electrolytes are to sustaining your vitality. Stress burns minerals like calcium, magnesium, and phosphorus, minerals that feed our nerves and keep us feeling strong and steady. Stress also creates acidity, and the body attempts to battle this and stays alkaline by cannibalizing minerals from our bones, which leaves us osteoporotic. Adding electrolytes to your water will go a long way to reversing this condition, safely, and naturally. And, it will assist your colon with elimination by assuring it is properly hydrated. Make sure your kids are getting their electrolytes, and steer them clear of sugary drinks like Gatorade. There are a number of sugar-free electrolyte choices on the market, often sold in individual packets that you can throw in your sports bag and dump in your water during and after your workout. Along with drinking two quarts of water a day, take your electrolytes, along with fresh juices and foods that are rich in vitamins and minerals. You won’t believe how much more energy you’ll feel! Happy-Gut Reminder: A packet of electrolytes a day keeps the blahs away.